It's time for another one of those #2018goals This one is one of those 'be kind to yourself' kind of goals. 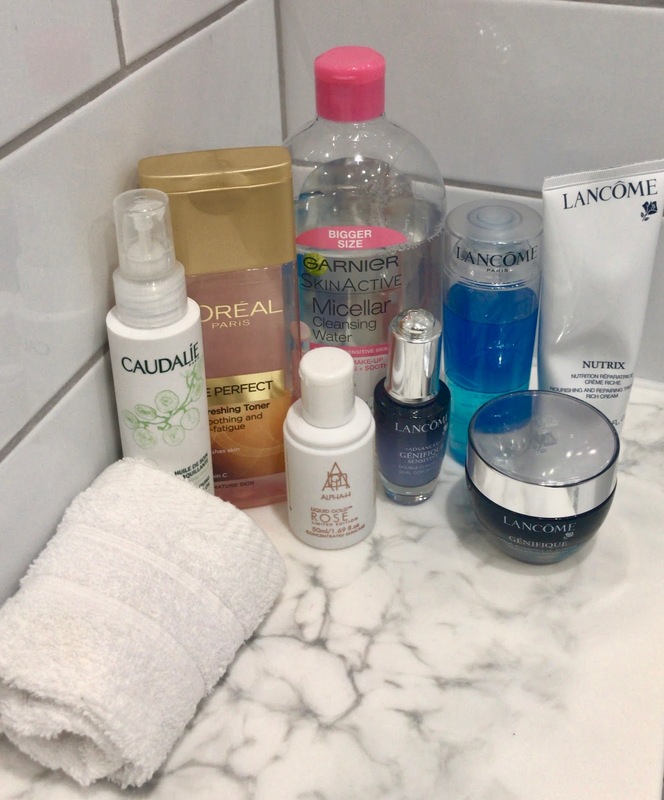 I like to think I've always looked after my skin but now I see it's been pretty basic stuff. I'm what I'd call a 'drugstore' sorta gal. My skincare has always been off the shelf without being coerced by an over zealous sales assistant. I best not mention again the there is a big birthday on the horizon....so it is time to take myself in hand and invest a bit more time and money on my appearance as opposed to my wardrobe. One thing I have always been religious about is taking my make up off every night before bed. Up until recently I always started with a cotton wool pad and a generous helping of micellar water. 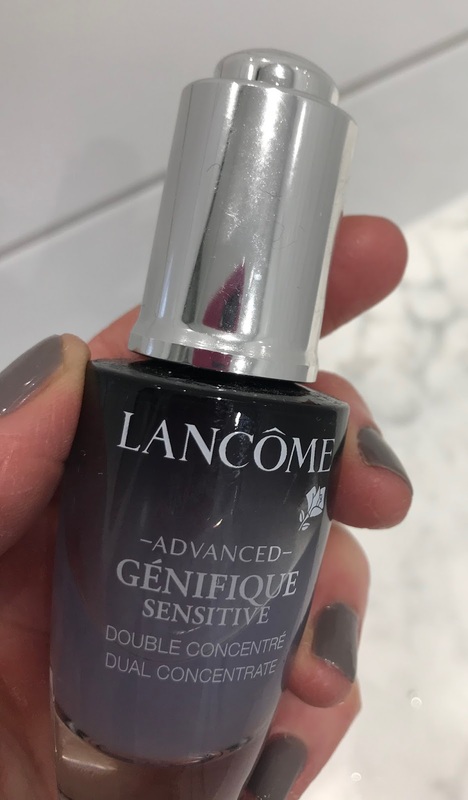 Like everyone I do love to try new stuff and when I was in the throes of the horrible flu bug that I had post Christmas, Lancome very kindly sent me some products to try. It cheered me up no end as I didn't bother with any of my usual routine for the best pat of a week which is so unlike me. I must have been really poorly. 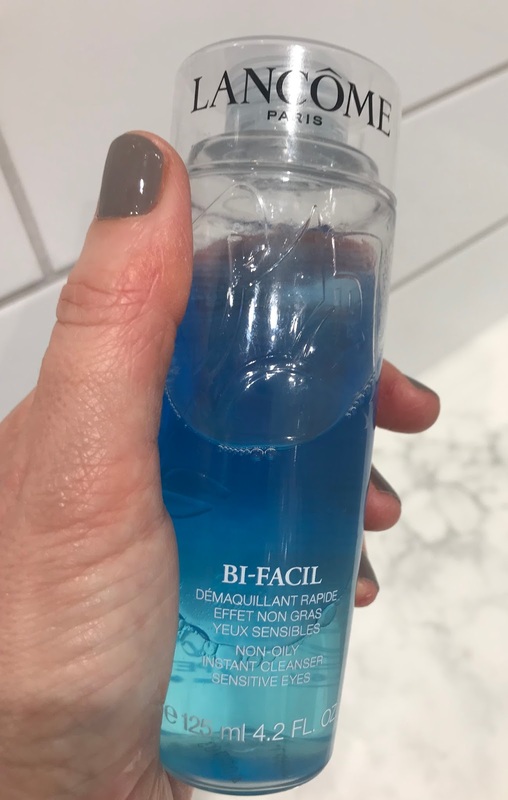 I felt the micellar water did a reasonable job of taking my eye make-up off.....until I tried this. Crikey.....where has this stuff been all my adult life? One swipe and it's all gone....no need to rub at the stubborn mascara to get it off. This has been a bit of a revelation.....mostly definitely a re-purchase item. 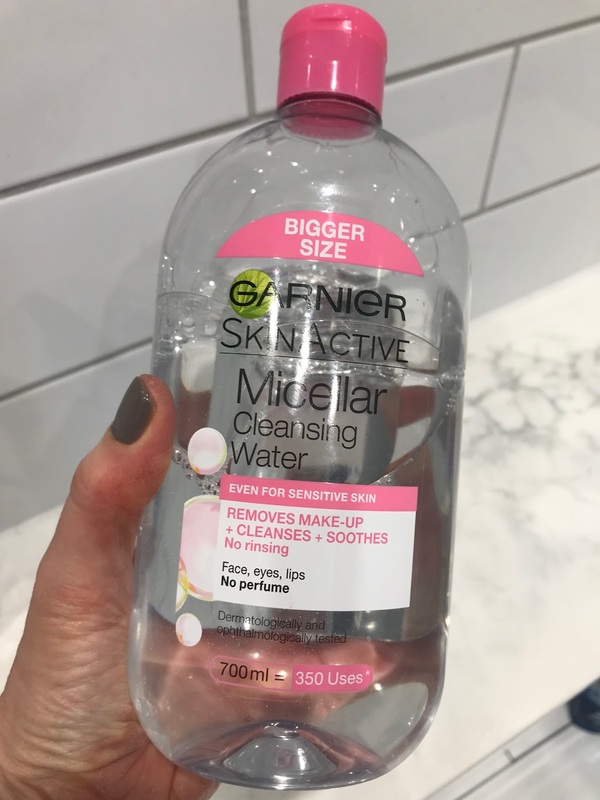 I've been using the same micellar water since I stumbled across the legendary CH. Never felt the need to change it. It does what it says on the tin. It's gets the majority of the days grub off and leaves my skin ready for the next step. The double cleanse with a hot cloth has been the game-changing addition to my routine. 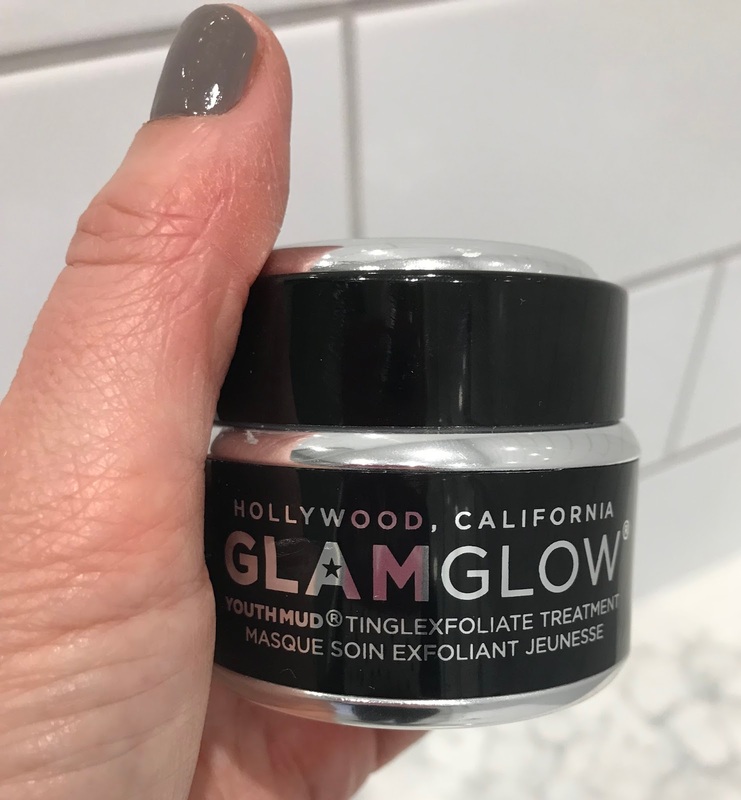 I've tried a variety of different cleansers and I stand firmly in the camp of finding yourself a good oily texture to remove the remaining traces of your make up. I've tried quite a few. I do love Emma Hardie's Moringa Balm (thanks the the M&S advent calendar!) and I've also been known to use coconut oil (off the shelf from Tesco's) but I got a same Caudalie make up removing oil in a goody bag and it has been my go-to ever since. The key to my hot cloth cleanse is a face cloth. I know a lot of ladies use muslin cloths but personally I'm with Caroline on this.....a good old fashioned flannel is much better. Since you can pick up 3 flannels in Primark for about £1.80 they are a lot more purse friendly too! Run your flannel under the hot tap and you feel like you've had a facial. Next step is toner. This one came recommended by CH. It's just to refresh your skin after the cleanse. I use this one every other night and every morning. I've been using this for years and I won't change as this suits my needs. I'm a bit lazy in that I don't use a lot of treatments....and rarely go for facials. However when I heard about this product via one of my friends recommendations I was intrigued. 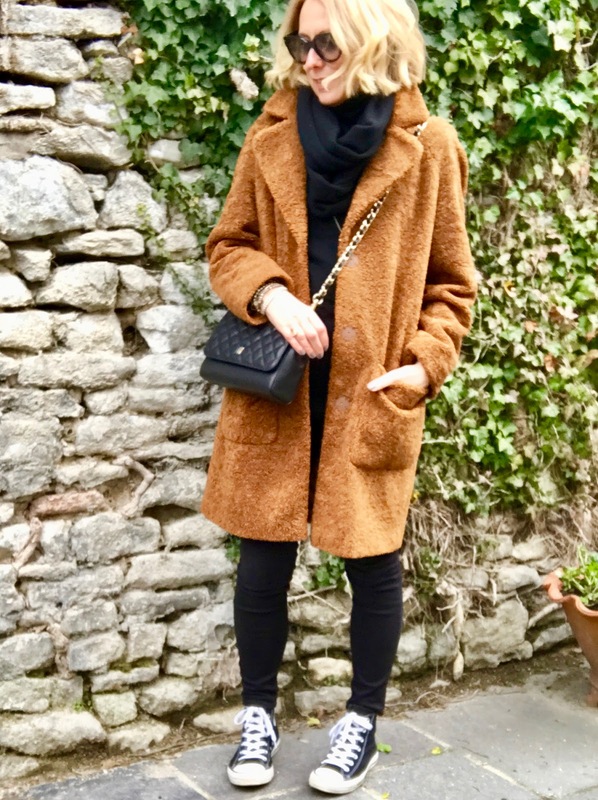 I went back to the CH website to see if she tried and tested it (yes, I trust her that much!) and came across her brilliant vlog with this brand. I couldn't get myself some quick enough. Ever since I first tried it it has been a permanent fixture in my routine. It's an acid toner (sounds scary huh?!) it should only be used 2-3 times a week. 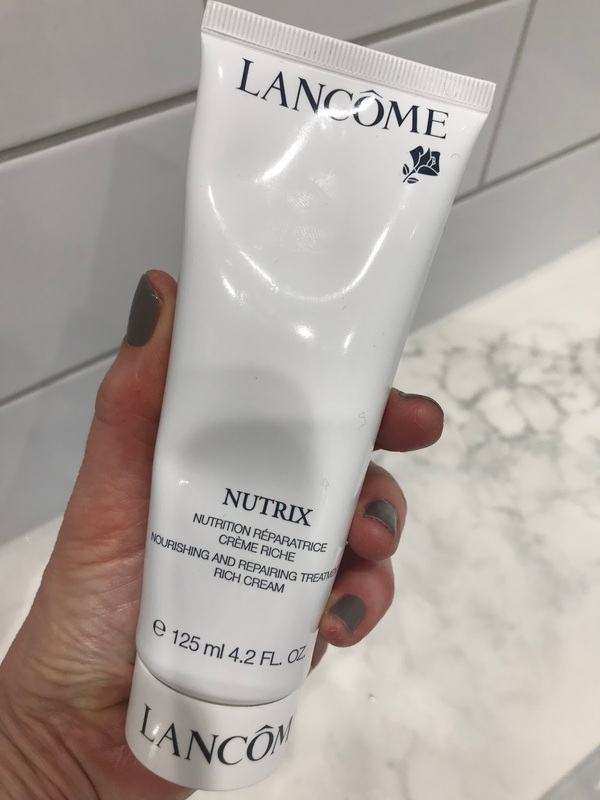 I use it every other night except in extreme temperatures....I don't take it on my summer holidays and I'm laying off it at the moment as I am prone to itchy dry spots when it is very cold. I love the way this makes my skin feel. Squeaky clean.....it tingles when applied. After this step my skin is prepared and ready for some serious moisture. I am currently using this limited edition one that came the the M&S advent calendar but I've linked the classic one which I will re-purchase the next time M&S do 20% off! Back-tracking now to my Lancome haul. A much needed serum for my thirsty skin. I do have a tendency to suffer with dry skin so I do layer up when it comes to moisturising. I've heard great things about Genifique......it's a range that seems very popular amongst my friends. I'm currently using the advanced sensitive dual concentrate for dehydrated skin. It is described as a night time saviour and I'd have to agree. 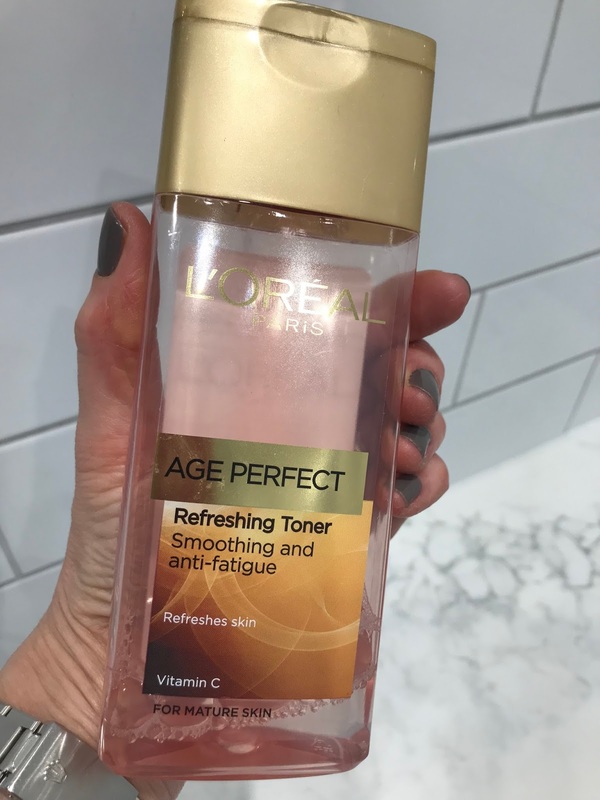 It is such a light consistency it doesn't make me feel too overloaded with product especially as I tend to favour quite a hefty moisturiser. Last but not least. 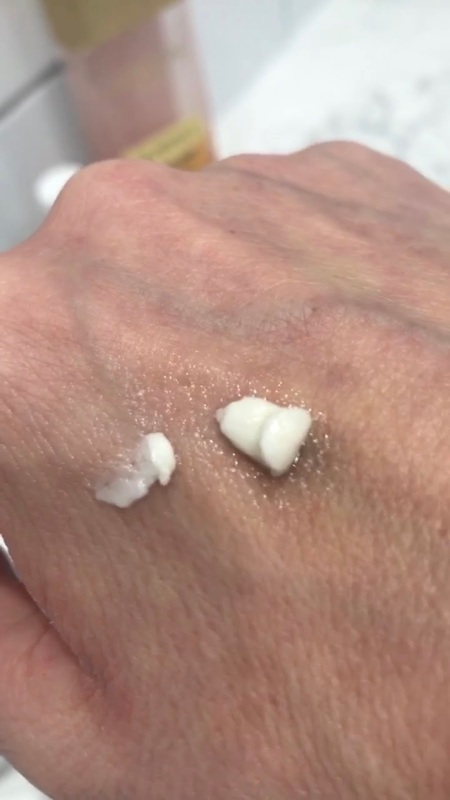 A heavy duty moisturiser. Lancome Nutrix. 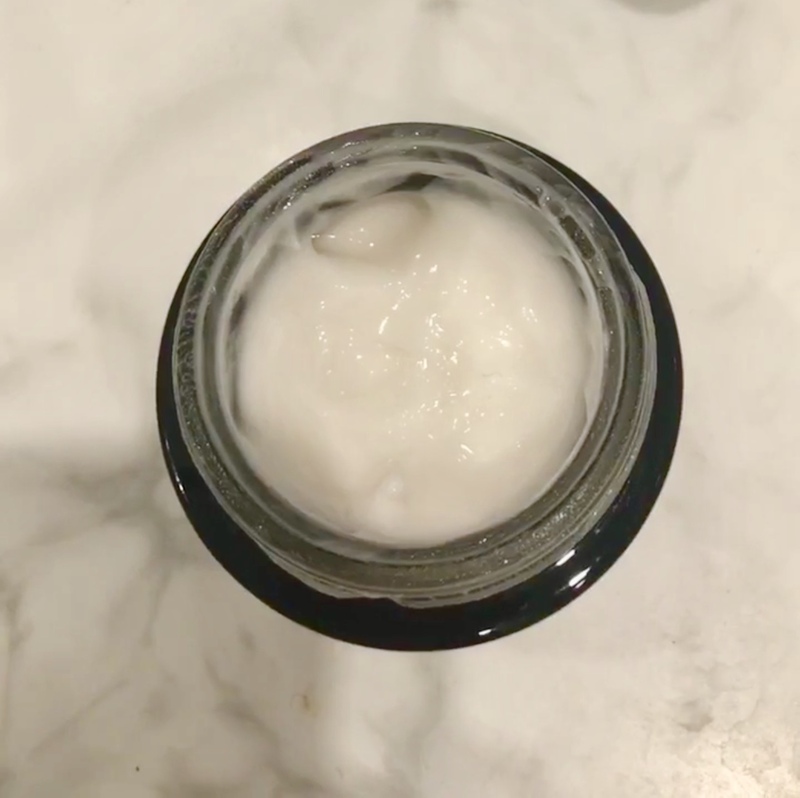 I like a very thick (think old school cold cream) and quite oily/emollient texture for my night cream. This stuff is spot on. Adore it and although a bit more than I would usually spend it is now a *must have* favourite. I use quite sparingly as a little goes a long way. There's very little difference to my morning routine. 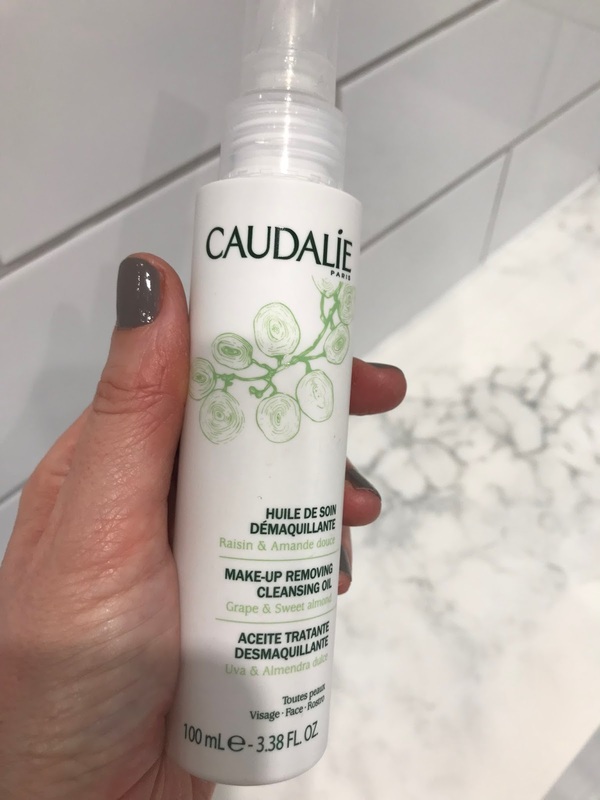 I skip the micellar water but still hot cloth cleanse with the Caudalie oil, followed but the L'Oreal toner. 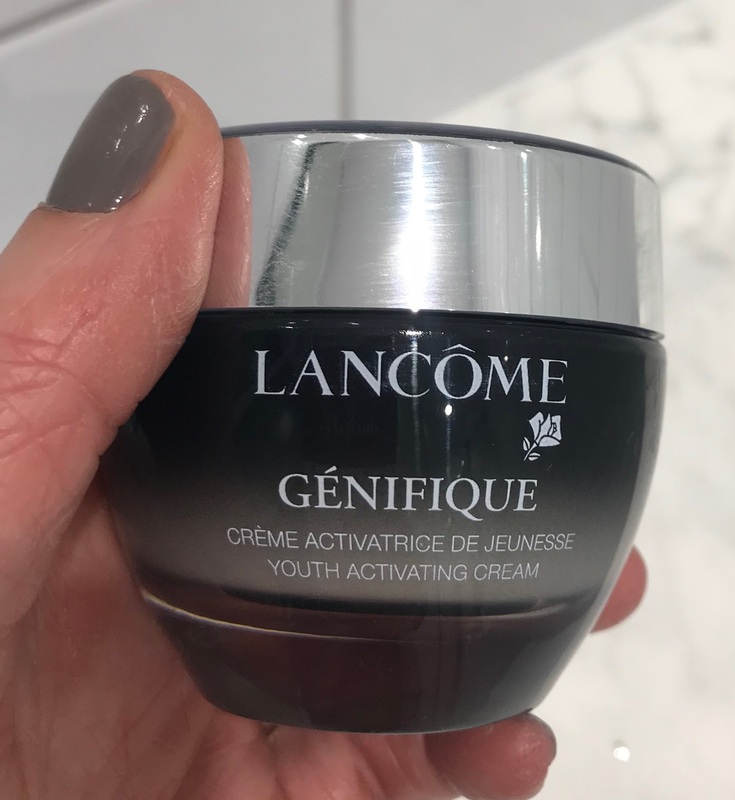 I prefer a lighter texture for my make up base and this Genifique day cream is gorgeous. Such a lovely lightweight texture, means my skin is not over-oiled and that my make up doesn't slide off. There is a product missing here isn't there? Ladies I need you to hit me up with your recommendations for a good eye cream! I don't have one currently and to be honest have only ever flirted with it. In pictures I am noticing I look quite dark around the eyes and so I need to remedy this......open to your suggestions if you please. On a final note. There are a couple of products that I use as an occasional treat. I like to scare my DD with this face mask! 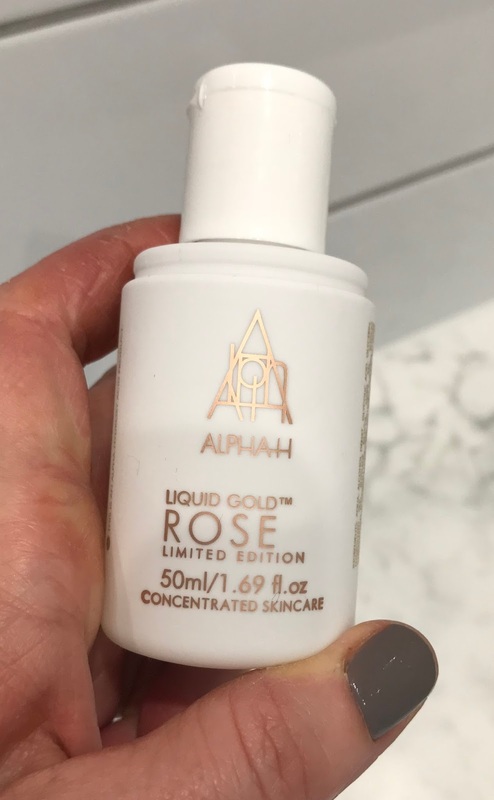 It's brilliant stuff.....like the AlphaH Liquid Gold you experience that tingle! I feel scrubbed clean after using it. Lovely stuff. I also rate these very highly....I've just replenished my stash. 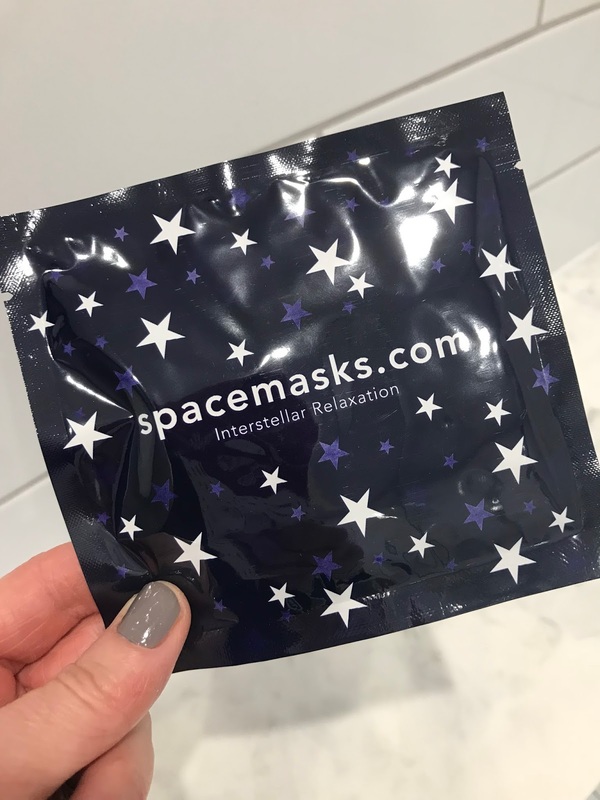 I am thinking the perfect way to relax on on our 8 hour flight at the weekend. These are simply incredible....if you haven't tried you must!! I would love to hear any of your product suggestions. What do you think is the most important step in your skincare routine or what product has been the game changer for you? I'm all ears! 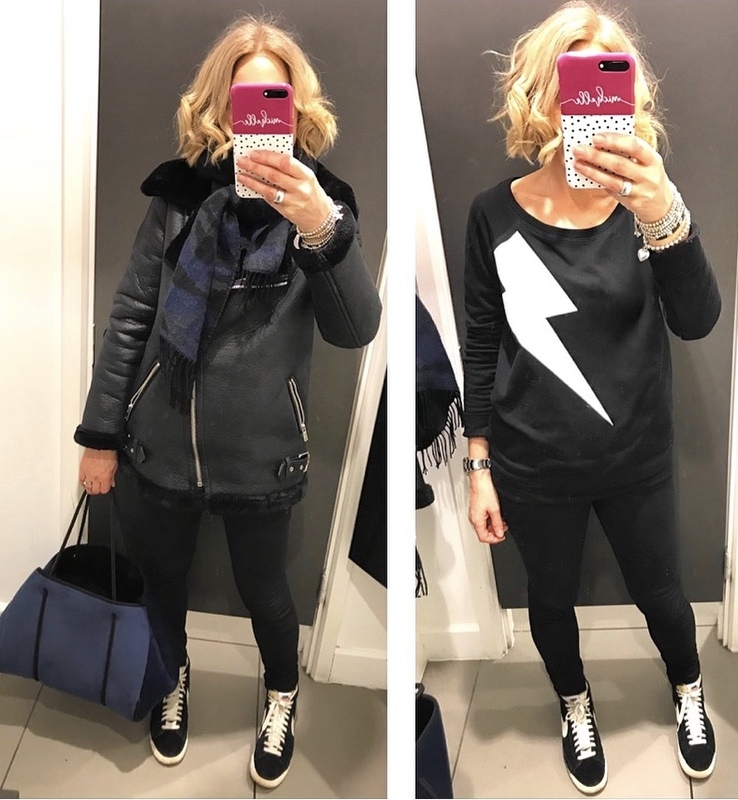 I'm just road testing a few outfits for our trip to NYC......the weather is looking pretty favourable at the moment which has thrown me into a bit of a spin. I was expecting it to be very cold......the packing has now presented me with a bit of a challenge. Thank goodness there is good baggage allowance. Any tips on what to take would be gratefully received. I hope to be back on Thursday to give you an idea of what I've settled on to pop in the case.